Now again The longest book table in the world, Drottninggatan Stockholm 20 aug. Green Seniors were there selling books and politiks for elderly. Really full speed! 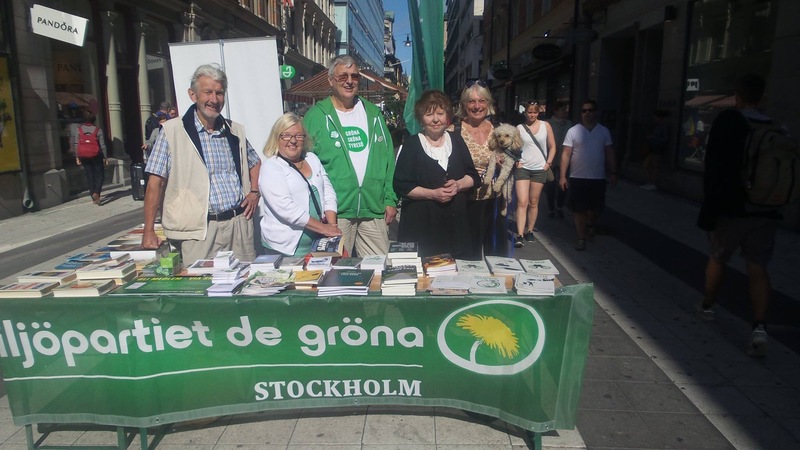 on the picture, Anders Ödmark, Vivianne Gunnarsson, Gösta Even, Eivor Karlsson Marja Sandin -Wester. The photographer was Åke Askensten.